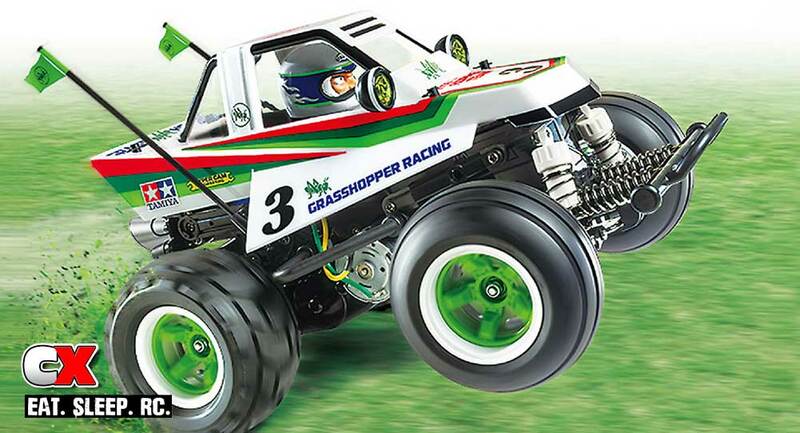 If you’ve been around in the world of RC for some time, you might remember a cool vehicle from Tamiya called the Grasshopper. This was a wildly popular car that almost everyone had to have, including me (mine is still sitting in my garage in an unopened box!). 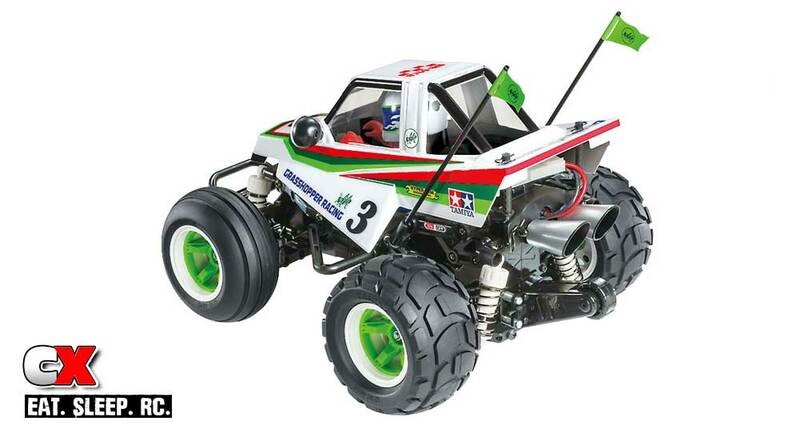 Tamiya has released the Grasshopper once again but this time on the WR-02CB chassis, the same chassis used on the Kumamon tractor, Farm King Wheelie and the super popular Honda City Turbo! 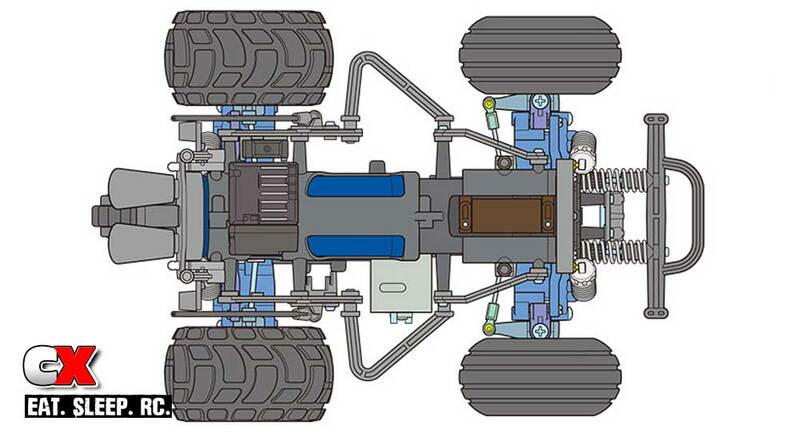 This new chassis layout has prompted a new body as well – the Comical Grasshopper! 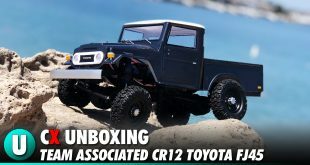 I absolutely LOVE the look of this thing; squatty body, cool wheels and tires and driver figure. There’s also the double-flags off the back as well as some mean looks exhaust! 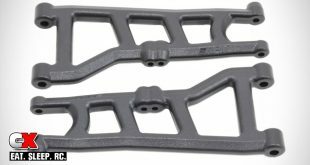 Underneath the comical body sits a monocoque chassis, inline battery position, 4-wheel double wishbone suspension and oil-filled mini shocks. Even headlight casings ready for LEDs. I’m going to have to get one of these!